So, you have a great nail art idea in your head and then you’re trying to bring it to life and… it’s a failure. I know the feeling. I’ve done that too. SO. MANY. TIMES. Until I’ve discovered a few simple principles that now allow me to execute almost any nail design flawlessly. Today I’m sharing these 5 secrets with you! Symmetry Rules. Whether it’s a geometric design, French manicure or detailed art work, symmetry in your nail design is everything. A manicure can look messy and amateur (imagine – crooked French… ew) or it can look so precise and flawless, it’s hypnotizing! 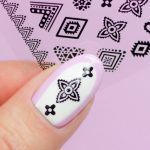 For French manicures and geometric nail art, you can easily achieve symmetrical lines by using nail stencils. 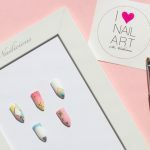 For freehand nail art, it’s a bit more complicated – the matter of symmetry is all in your hands, literally. My tip, before starting on the design mark (lightly, very lightly) the main points of your pattern with a needle or with a brush. For instance, for a French manicure mark the beginning, end and the highest point of the arch on each tip. For geometric designs, mark the beginning and the end of each line and/or line intersections, like I did here. Great Brush is Everything! During my career, I went from using a trimmed makeup brush for nail art to developing my own nail art brush range. Of course, if you’re skilled enough you can create works of art almost with anything. 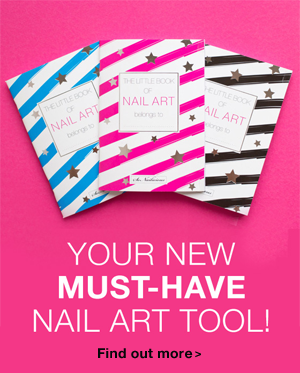 But if you really want to make your job easier invest in a professional nail art brush. Not a generic one, but one that is designed by a nail artist for nail artists. So far, out of everything I’ve tried, 147 brushes to be precise (crazy, I know!) I’ve been 100% satisfied with Ace Gel brushes and well, my own brushes but that’s a given. Plan. Particularly if you’re trying a new nail design or technique, sketch the entire set on paper before doing it on nails. Thinking about trying new colour combo? Test drive it on your palette or in the Little Book of Nail Art to see if these colours work together well before starting your nail design. Top Coat is the King. I’ve probably said a hundred of times before and I’ll say it again… a great quality top coat is that finishing touch that takes your nail art to the next level. It will even out all surface imperfections and add that salon-like look to your manicure. If you need some suggestions, here’s a list of my fave top coats. Clean up. It’s such a simple thing yet still many, underestimate the power of a polish remover and clean up brush. Nail polish got under or over cuticles – one wipe of the brush dipped in polish remover and all mess is gone. Uneven or not so straight polish application on the side of a nail? Another sweep with the brush and it’s perfectly straight. And, it’s even easier with gel! 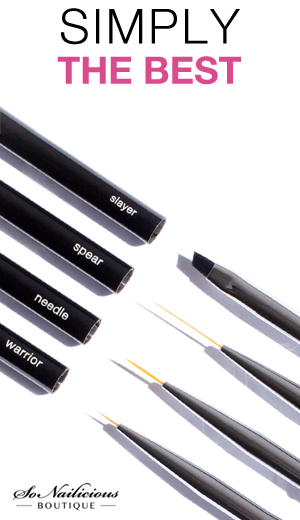 If you don’t get all the edges perfect from the first time, correct it with a thin angled nail art brush. What do you think, do you agree or disagree with these above? 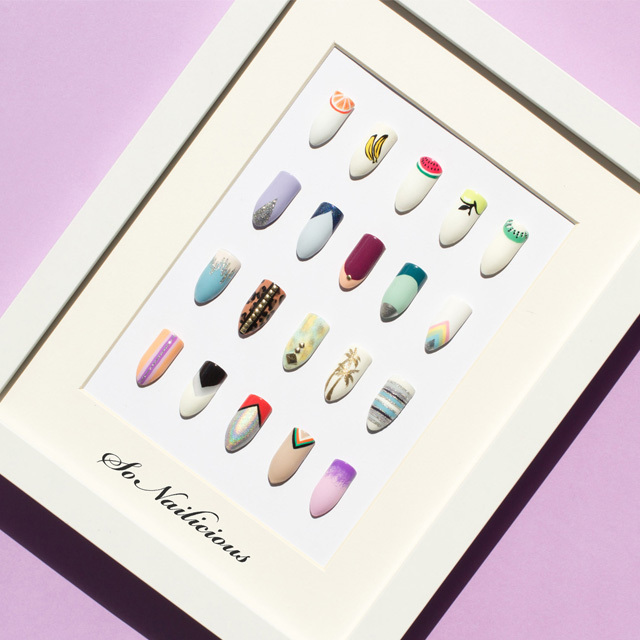 Is there any tips for improving nail art that we could add to this list? Come on ;) sharing is caring. Share your wisdom in the comments below!